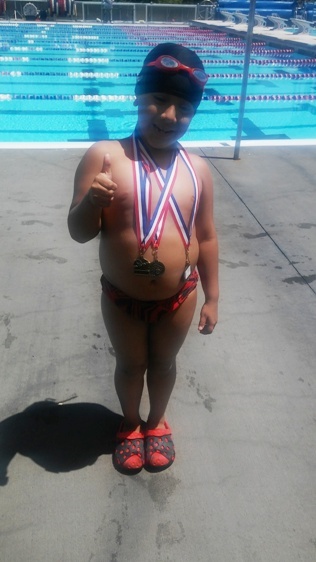 Diego's first race was the Butterfly stroke, against Boys 10 and under. In this race he took 3rd place. The second race was the Freestyle stroke, against Boys 7 and 8 and in this race he took 1st place. 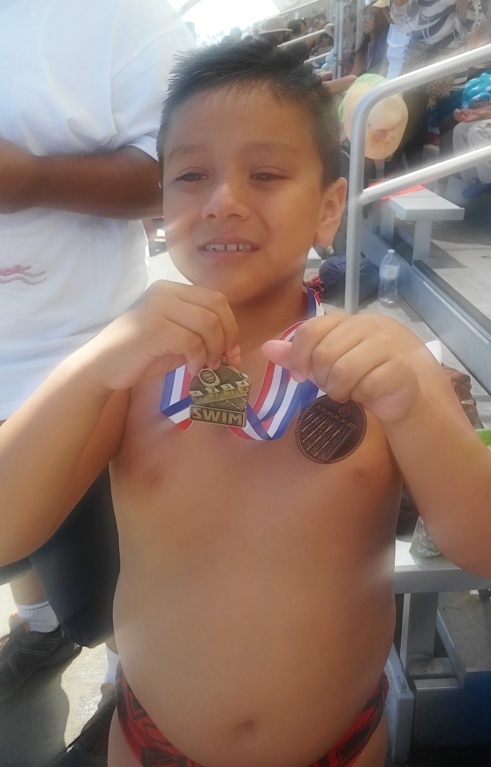 His third race was the Backstroke, against Boys 7 and 8 and in this race he also took 1st place. 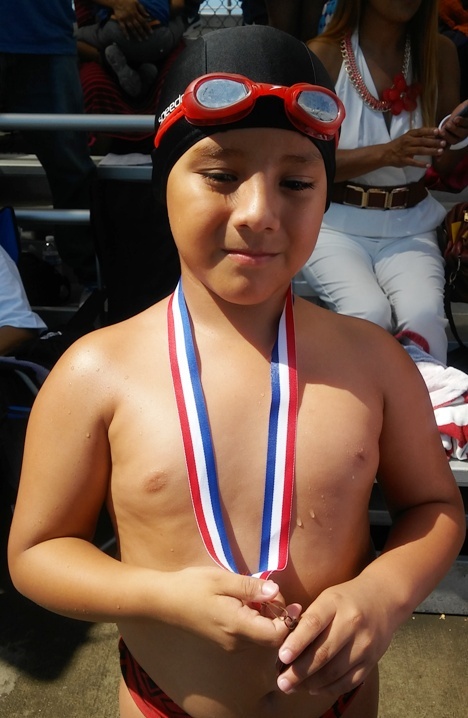 Diego qualified for the Swim Festival on August 8, at LA 84 Foundation / John C. Argue Swim Stadium. Where he will be competing in Freestyle, Butterfly, and two relay races.